Posted on August 21, 2017 at 11:50 am. 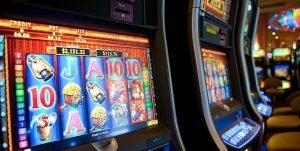 The Federal Group in Tasmania is seeking a tax cut from the state government in return for giving up its exclusive ownership rights of gaming machines to clubs and pubs. The Federal Group wants a tax cut for relinquishing their gaming license monopoly post 2023. Federal Hotels have held a license monopoly on all land-based pokies in the state since the early 1970s, including machines leased to other venues, but a new proposal for other venues to operate their own games is currently being reviewed alongside the main parliamentary inquiry which began in March of this year that will determine how pokies will be licensed and regulated in the state within the next six years. The proposal outlines by 2023, which is when the Federal Group’s 20 year license extension ends, gaming machines could be owned and operated by clubs and pubs, effectively getting rid of the Federal Group’s ownership and granting a massive boost in revenue to both local businesses and the state government. The move could also allow a new high-roller casino to be opened by The Museum of Old and New Art. Managing director Greg Farrell stated the company would lose $15 million a year in income if the plans to put gaming licenses out to public tender were implemented. “We believe if the current model would continue into the future the taxation rates are appropriate. If the current model does not continue post 2023 it requires a significant overhaul of the tax requirements,” he said. The parliamentary inquiry currently underway has been heavily examining community attitudes towards the pokies and the entire gambling industry in Tasmania, along with a review of economic and social impacts of the 2,400 gaming machines currently spread throughout the state which raked in $100 million last financial year. With several anti-pokies groups complaining about the damage of electronic gaming machines and organisations like Clubs Australia and the Australian Leisure & Hospitality (ALH) officially submitting their own opinions on the pokies industry’s future, a period of massive reform seems guaranteed to hit the state regardless of the outcome of the licensing monopoly.